Only one pairing was left from completing the semifinal lineup at the Madrid WOpen 2018 as night fell on centre court. Marta Marrero and Alejandra Salazar took on Cata Tenorio and Beatriz González for that place in the final four. Cata and Bea started with a break that put them 2-0 up. Cata's mobility and Bea's power were punishing their opponents' mistakes. 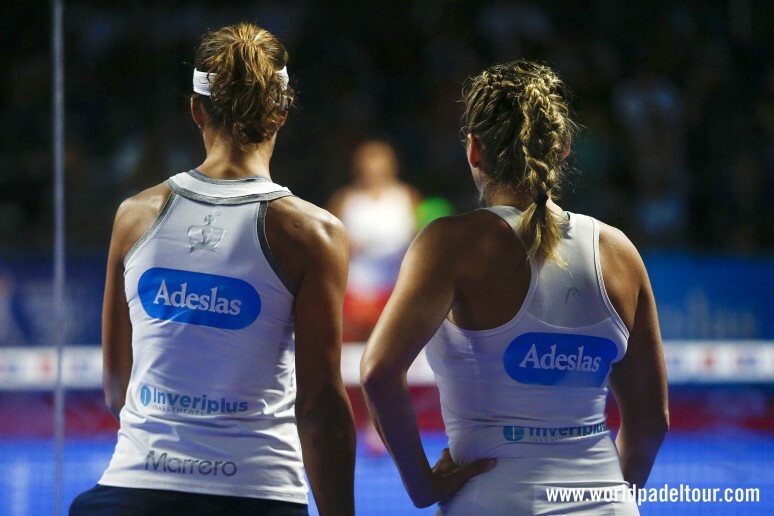 But Marta and Alejandra responded by claiming the following three games. They gained control of the set and broke again in the sixth game before winning the set 6-3. Marrero and Salazar had found the formula to dominate their rivals and they employed it again in the second set, going 4-1 up. Marrero's overhead shots were drawing the applause from the stands and they wiped their rivals out completely in the second set with a 6-1 scoreline that settled the match in just over an hour and 18 minutes.